Let's be honest, in the world of brick-based construction toys one name dominates the market. Often referred to as the one other makes of bricks are "compatible with", LEGO is a huge Goliath and makes all the rest, even the plucky (and past favourite of the site) Mega Bloks look somewhat amateurish by comparison. However, usually the biggest beef we have with other construction sets is their attention to detail in the designs of the sets - not the bricks themselves. Well, with the Beginner Plus 24 V2 set from Light STAX that isn't a concern. We check it out. So what are these? 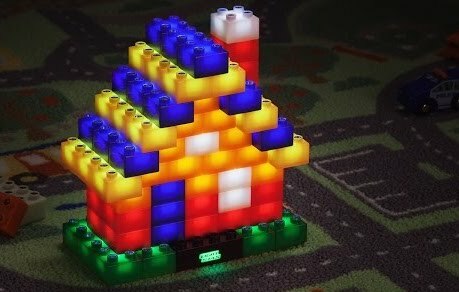 Well, Light STAX are LEGO compatible bricks (meaning they have the same dimensions and connection studs) that uniquely light up. Each brick contains an LED and uses electrical connections to draw power from the included rechargeable battery base. Therefore, if you create a chain of connections, all the Light STAX will shine. 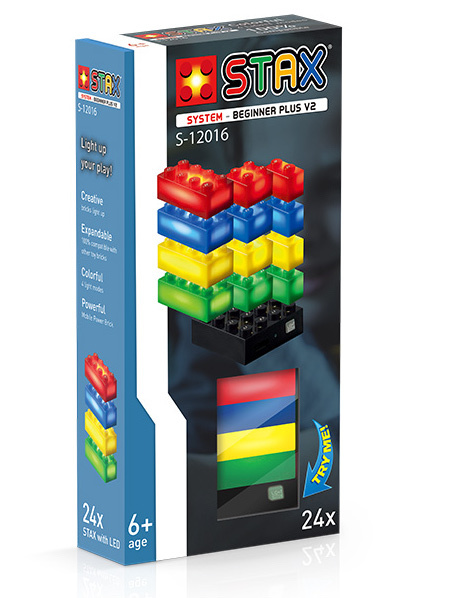 Light STAX do come in designed sets, with most being fairly simple affairs of a couple dozen to create an animal or vehicle, but they also come as straight up brick sets with different colours and sizes. The Beginner Plus 24 V2 is the most basic of these, offering a great introduction to the system with 24 bricks and the aforementioned battery base. 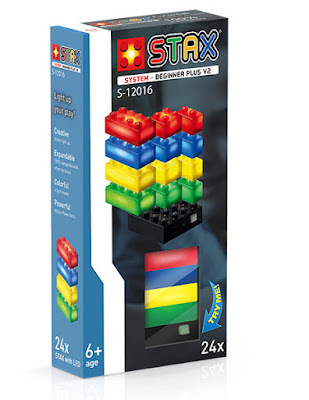 In the hand, the Light STAX bricks feel like slightly weightier LEGO bricks, and if your kid is used to clipping those together they'll have no bother with these. The connections are reassuringly tight, which you'd hope they would be, as that flow of electricity is needed to light them. On that note, the glow isn't overly bright, and although you can clearly see them shining in full day light, the effect is far more impressive in reduced light. Light STAX are certainly fun... for a while. If we're being honest the novelty of a set of bricks that light up soon wore off, and the kids sought entertainment elsewhere. 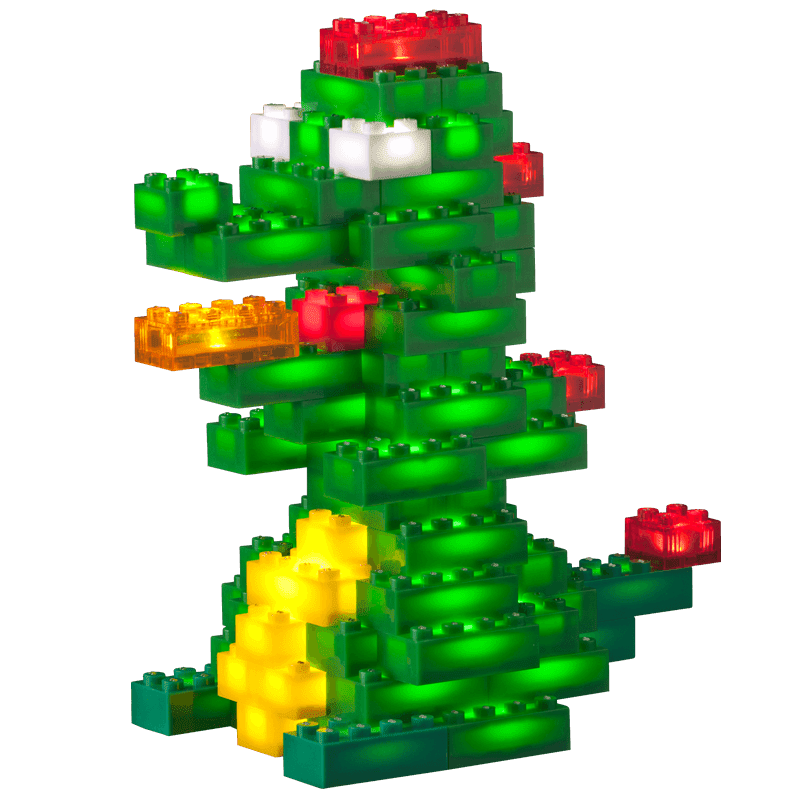 However, here is where the LEGO compatibility comes in handy, as we found there was more fun to be had integrating them into existing LEGO builds. Building the battery base into a LEGO house or large vehicle let us strategically place a few Light STAX throughout, creating a warm glow to simulate real lights. There are other LEGO lighting systems out there, and some that use wireless induction to power, but Light STAX are refreshingly affordable and can be used for so much more. 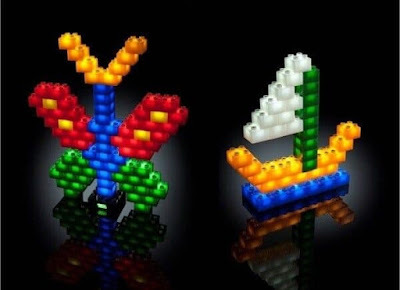 To that end, we can only really recommend these if your kids have an existing horde of LEGO into which the Light STAX can be added. Chances are that's already the case, so for a fun and novelty stocking filler, these are great.